Exceptionally easy application of a base klister. Avoid the difficulties of traditional klister application. 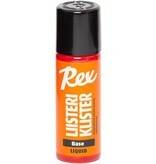 Base klister is a durable option for long classic marathon races, even when paired with a hard wax.